I am a huge sucker for glitter nail polishes. I love how I can now customize my own glitter nail polish colour for a low price and in just a few minutes, using store bought glitter. transparent nail polish, any glitter form you like and a piece of paper. 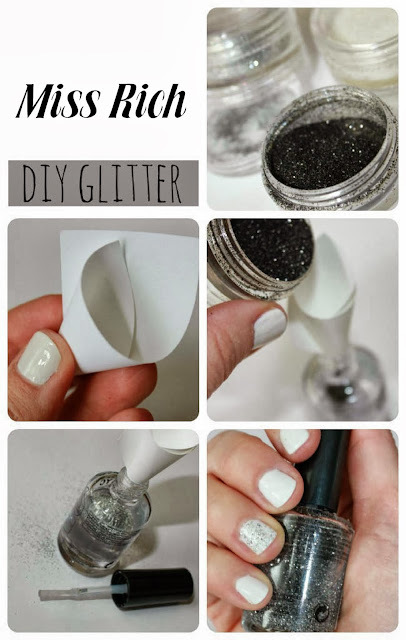 Make a funnel out of the paper by rolling it, put it into the polish hole (make sure it fits properly! 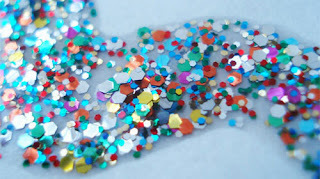 ), add the glitter/sequins through it, shake it well and voila- you have one new nail polish in less than two minutes! have any of you tried this? How did it look? Do you have any other tips or tricks?